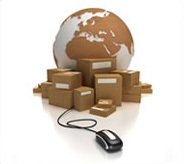 Our highest priority upon receiving your order is to ensure your goods reach you as soon as possible. The order number required to use in the box below is the 'RC' order reference number that was emailed to you as soon as your web purchase was made. Please email us if you would like it re-sent or call us for assistance. For any orders placed by post, fax or phone, please contact us direct for delivery status. Please contact us if a delivery status is required. Copyright � 2016 Adhesive Dispensing Ltd. All rights reserved.